We all know having a poor compliance programme is bad for business. But did you know having a top-notch compliance programme can actually give your company a competitive edge? In a new era where third-party due diligence is serious business, quality compliance can help bring value to the balance sheet – not just protect it from being taken away. Risk managers often report that their departments suffer from a reputation problem within the company. So how can risk managers communicate the value of good compliance internally? One solution lies in compliance technology. “Having good technology behind a compliance programme helps to speed things up,” said Charles. “It allows you to exchange information with your finance team and your HR and any other teams in an automated way that ultimately moves a profit faster. Examples of compliance technology include tools that can help you communicate to your employees quickly and efficiently to address issues in real time. “For example, if you had a data breach or some kind of a sexual harassment hiccup, or had something happen in your company where you really wanted to get the message out to all employees quickly, really good technology can help you respond in real time,” Charles said. 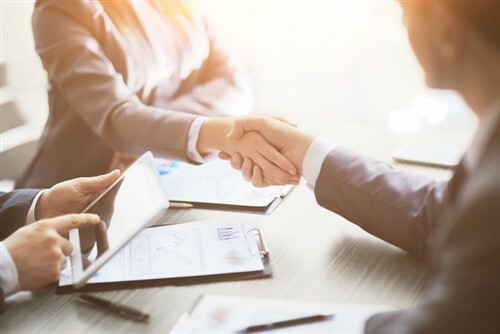 “In reality, B2B relationships now depend on businesses checking one another to make sure that each partner has an up and running, effective compliance program,” said Charles, a compliance lawyer who has spent most of her career working on white collar criminal activity and is now focused on bringing technology into compliance. That wasn’t the case five to 10 years ago, she noted. These days, compliance enforcement is focusing more and more on third parties.